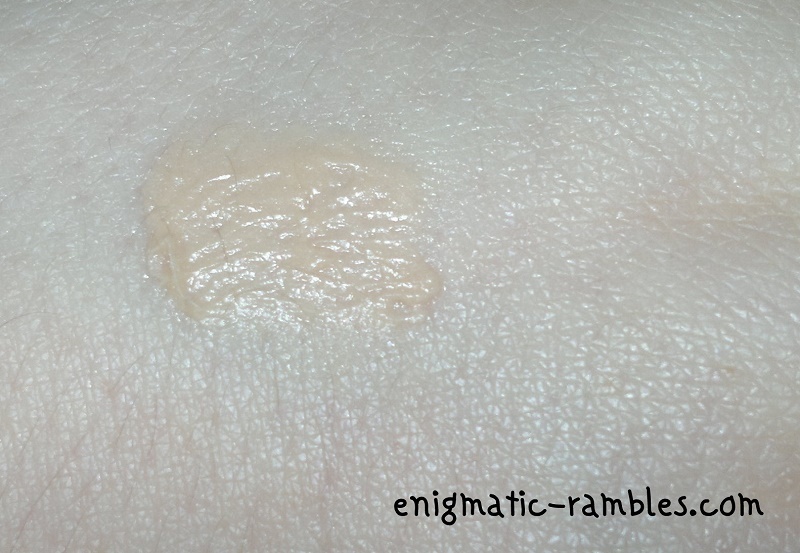 This is a beige toned silicone based primer, I got this sample free with a magazine and it is the best selling primer in the UK, and has been for the past 3 years. Generally this seems to be a popular product. I have combination skin and liked the idea of this primer, it goes over the skin smoothing any texture issues as well as filling in pores. 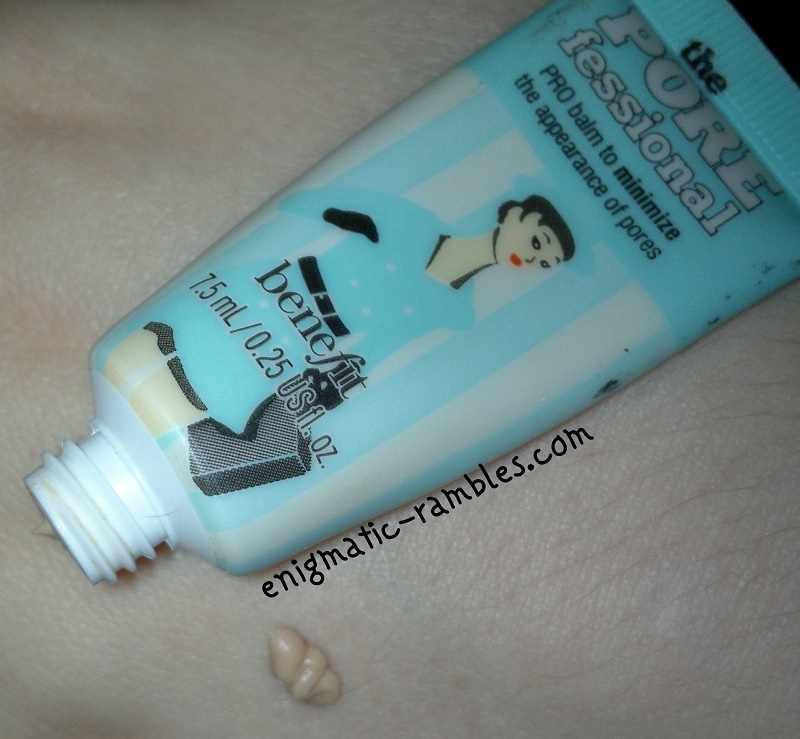 However I had problems with the primer because its beige tone is darker than my skin tone it went in to my pores, especially on my nose and made them look very visible. Making my nose look like it had a rash or lots of small blemishes. It highlighted the pores and made them look a lot worse, even with foundation over the top my nose looked ridiculous. 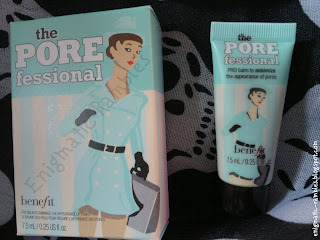 The primer worked well over the rest of my face, where the pores aren't as large. But the product is called a pore minimising primer which is something I didn't find was true. I used the rest of the tube up as a primer for the rest of my face, using a different primer on my nose. I thought it made a smooth base for my foundation to go over the top of and it did help keep oils from breaking down the foundation as quickly as it would have without using a primer. I didn't use this over make up, as Benefit also suggest. Overall I would say try a sample first, the full size product is 22ml and is currently just under £25. Often they do sample sizes free with magazines or you can get a sample from a Benefit counter.